Right on time for the beginning of summer Sun Department Records comes with a groovy new selection for sunny days! 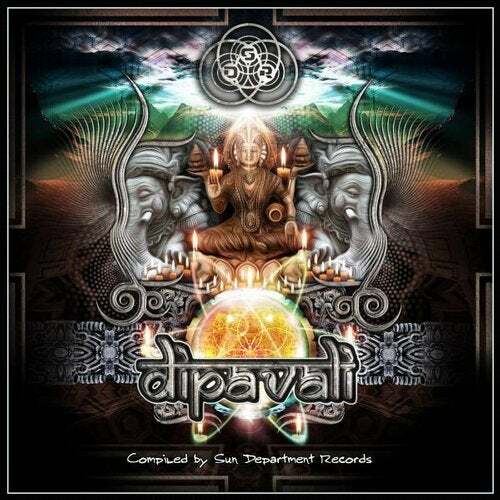 DIPAVALI is the name of the musical journey that will bring you through from dawn till dusk. A collection of bright uplifting progressive psytrance for the summer season that will bring a smile to your face and some heavier sounds to move you until the late evening. All carefully selected to make this compilation the perfect coverage for any daytime dance floor. The name Dipavali has its origins in the Hindi festival of light and translated also means "Path of light". In the traditional way people honour this with an event lasting 5 days, celebrating the victory of good over evil or light over darkness. This compilation is the first progressive project of the SDR label and promises a unique and different approach to this specific style in a highly psychedelic and powerful way.